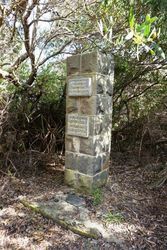 The obelisk in the wildflower sanctuary commemorates the furtherest point south reached by Thomas Mitchell in his exploration in company with the Henty brothers in 1836. 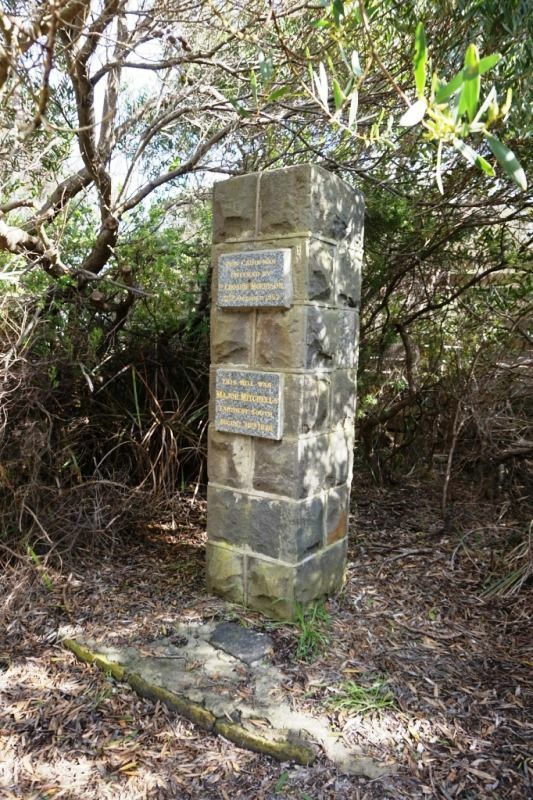 "On 30th August, 1836, I proceeded with the theodolite to a height near Cape Nelson and from that station and intersected the cape, also Cape Bridgewater, Cape Grant , and the islands to the east .. .. from here I named Mount Kinkaid after my old friend of Peninsula War recollections." 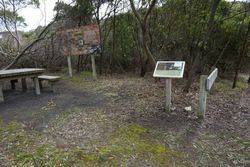 To those who knew the country, this height will probably be the prominent hill behind Drew Murrell`s house on which a cairn should be erected to Mitchell marking the most southerly point of his overland expedition. Portland Guardian (Vic), 13 April 1950.